Who doesn’t like being given money? It’s one of those parts of life that we can’t easily live without, not to mention that we’re ever chasing after it. But what if all that hard work could be done for us, and we instead can sit back and enjoy a game or two of simplistic entertainment? 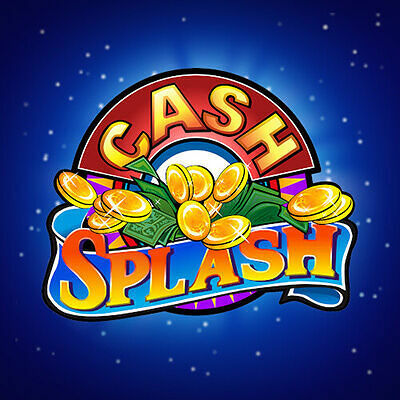 That’s what you can get when playing this Microgaming slot machine, titled Cash Splash 5 Reel. Even though the 15 winlines of this slot don’t look all that enticing, with the age of the slot potentially putting a lot of gamers off, we find that the 5 reels have a lot of money to gift us. What is more, it does so through a series of paytable symbols and special features, with all of these available from a small 20p stake. Not bad really, considering you can win as much as £10,000. The creators of this online title, Microgaming, have witnessed various changes within this industry, and have still managed to become a success through all the trends. They do this, not just through the innovations they make, but by remembering the beginnings that they came from. Not that this is hard for them to do, considering the offices are still based on the Isle of Man. If you’re still not convinced about Microgaming’s capabilities, why not cast your eyes over the countless awards they’ve been given - there’s so many of them. True, they’ve been around for 20 years, so it’s natural that awards will begin to add up, but the number reflects more than that. It demonstrates the label’s drive and passion. As we’ve already hinted at, the interface of this slot is far from visually stimulating, unless garish colours are your thing. The design is that of a traditional fruit machine, accompanied by the recognised symbols of cherries and BAR tiles; if getting back to the roots of slots is important to you, then here’s how to do it. While the 15 paylines do little other than pay from left to right, the symbols upon it can lead to some exhilarating victories, one of which is to get your hands on that big jackpot we mentioned earlier. Although we don’t want to spoil the experience for you, we’d like to take the time to give you a small walkthrough for each feature. Scatter Bonus: Instead of heralding in a selection of free games, the scatter symbol of Cash Splash 5 Reel generates multipliers instead, with over three of the icons gifting you x4 of your bet. Wild Symbol: Seeing as these are designed to make wilds easier to achieve, it makes sense that only two of these tiles are needed for a win. As is the norm, they substitute other icons to try and make successful combinations. Progressive Jackpot: To get the cash prize, the one with the total that keeps on increasing, you need to have all 15 winlines active. It’ll take five wilds on that final line to get the money, but without all the winlines, it’ll be a useless exercise to even try. This is a classic game. It doesn’t put on a show for you, nor does it overwhelm you with beautiful aesthetics and then leave you with little variance. It merely does it’s job of providing you with an easy means of making money.